The car audio and navigation systems company Alpine today announced that its first aftermarket CarPlay wireless receiver, dubbed iLX-107, is now available for purchase in the United States, priced a bit on the high side at $900 a pop. “The award-winning iLX-107 wireless Apple CarPlay system offers even more convenience in accessing Maps, Phone, Messages and Music from the iPhone in-vehicle without ever needing to connect a cable,” the company notes. The unit packs a seven-inch VGA revolution capacitive touchscreen in a mech-less body. 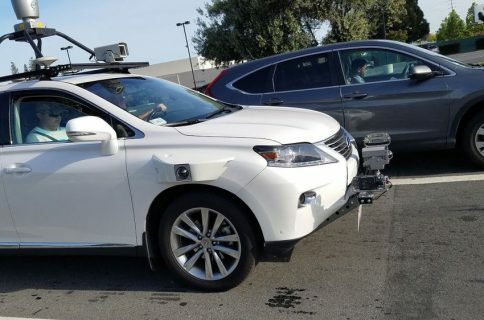 It integrates with rear view camera systems and your car’s steering wheel controls. The conveniently located Volume, Track, Home and Siri hard keys are accessible for quick access and simple control. 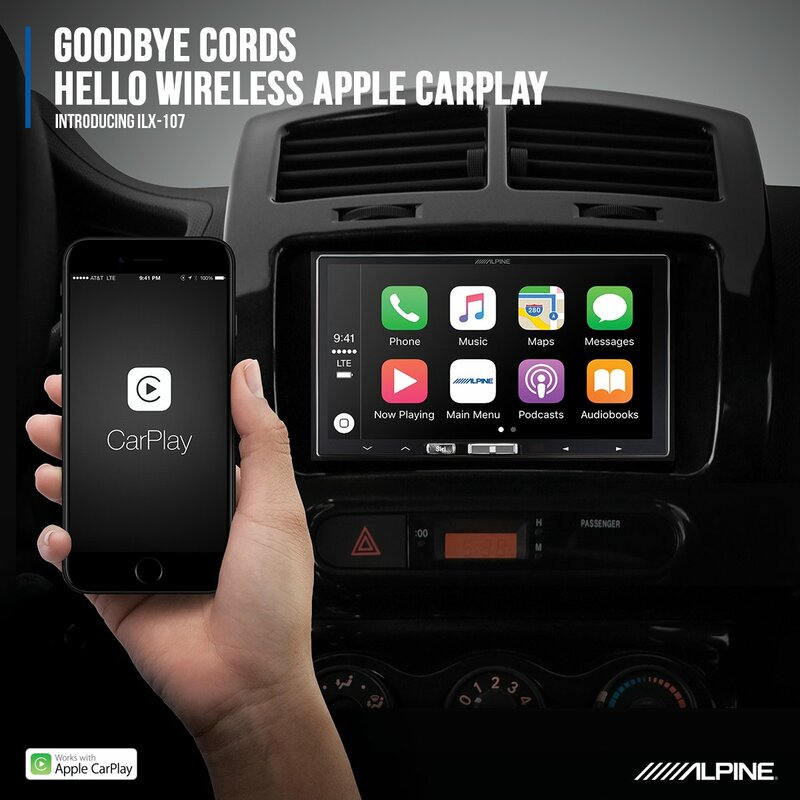 Alpine was one of the first firms to offer aftermarket CarPlay receivers for owners of older vehicles than lack CarPlay integration. However, today’s new is significant as the iLX-107 represents their first aftermarket CarPlay receiver that supports wireless connections. This lets you use CarPlay with your iLX-107 without needing to connect an iPhone via a USB cable. 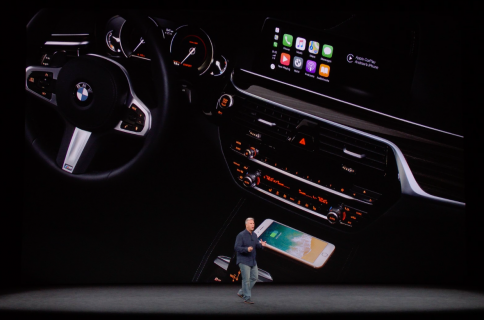 To set it up, you just pair your wireless Apple CarPlay unit from your iPhone. Of course, wired connectivity via the standard Lightning cable is supported, too. Connecting an iPhone to your iLX-107 via a Lightning cable for the first time automatically sets up wireless connectivity, which is great. The accessory uses the 5 GHz Wi-Fi band to optimize wireless connectivity performance, Alpine has said. 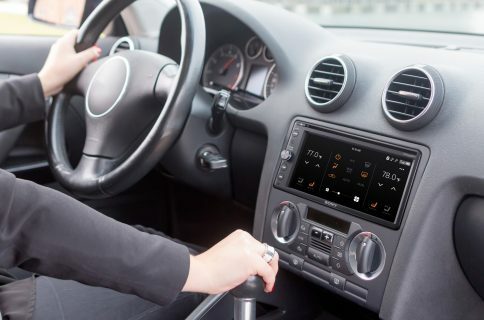 While Alpine does not sell the new receiver directly, you can purchase it from a network of authorized dealers who won’t just sell you the accessory but install it for you as well. Check out Alpine’s store locator online tool to find a dealer nearest to your location. Wireless CarPlay requires iOS 8.3 or later.